The property market in London is often a demanding market and although prices remain high, people have come to expect high quality standards of living as a way of making up for the lack of space. Whether you own a small flat in central London, or a slightly larger property on the outskirts, success in a sale is largely due to supply and demand, and the state of the property when you put it on the market. People in London are often moving there as a means of employment, and don’t want to spend months and months on renovations and reparations in getting a property up to scratch. They are moving for a new career opportunity and want to be able to move in almost straight away. With a brand new bathroom renovation, you appeal to these sorts of homebuyers and will garner a lot more interest than with an out-dated bathroom. So what else does a bathroom renovation do to help the chances of you selling your London property? A newly renovated bathroom ensures the potential buyer that there is less work to do on their part. It eliminates worries about mould, damp or condensation, as an owner would have had specialists in to repair any defects in preparation for the new bathroom installation. Of course, this isn’t always the case but if you are looking at making a good profit, you’ll want to spend a good amount of effort into your renovations. Renovating any room in the property is sure to raise the value of the property. It ensures the longevity of the property and provides a fresh and clean outlook for people viewing the property. A state-of-the-art bathroom is far more likely to attract potential buyers than an old or traditional bathroom, particularly in London where convenience and ease-of-access trumps all else. In London, where you have little room to let yourself think, having a practical bathroom space can be a real stress-reducer. After a long day working in the capital, being pushed between ticket barriers, barricaded on bus stops and bumped and bashed in the usual pedestrian rush, the thought of being able to go home to a beautiful bathroom can be a real promising thought. Taking the time to enjoy your surroundings in a hot bath can be a great way to reduce stress and allow people a time out from modern day annoyances, which is very much needed in a large city such as London. 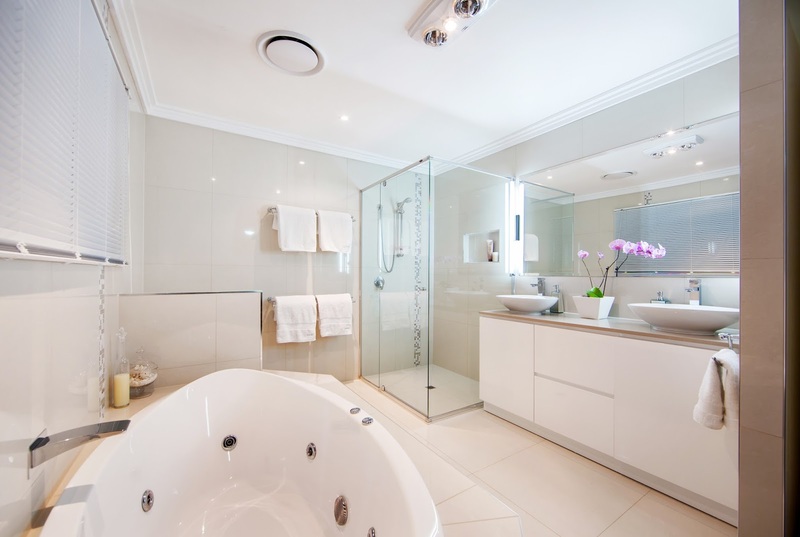 If you’re still unsure as to whether or not a bathroom can help to sell your property, you could always consider going a different route when renovating. Properties in London are often troubled for space, so by reducing the amount of space used in the bathroom by transforming it into a wetroom or shower-room, you could capitalise on space elsewhere. Why not extend out your living room or use the extra space to create a larger bedroom for new potential buyers? With first class bathroom renovations, there are a lot of options. Wetrooms have been steadily gaining popularity over the last few years as they are accessible, stylish and take up minimal space. The concept of a wetroom ensures that the room is both multi-functional and makes the best use of the space available. When selling property in London, you want to pull out all the stops as properties in London are both highly desirable and competitive when it comes to the market. Make sure that whatever you choose to do, your renovation is in keeping with the needs of your potential buyers. For example, if you give your property a more traditional style, but you want to appeal to young single people who are professionally employed, you might not have much luck unless they are passionate about traditional design. When looking at selling your property, it is important to make sure that it is styled after your target audience, otherwise it is less likely to sell. A modern, contemporary flat or other property with a state-of-the-art bathroom is far more likely to fetch a high price in London in comparison to one with a bathroom that is falling apart due to misuse or old age. Article provided by The Brighton Bathroom Company; a design specialist offering unique, personalised and luxurious bathroom design for discerning and design-led clients in Sussex. Designer Radiators – What style should you choose?